FACE MASK REVIEW. 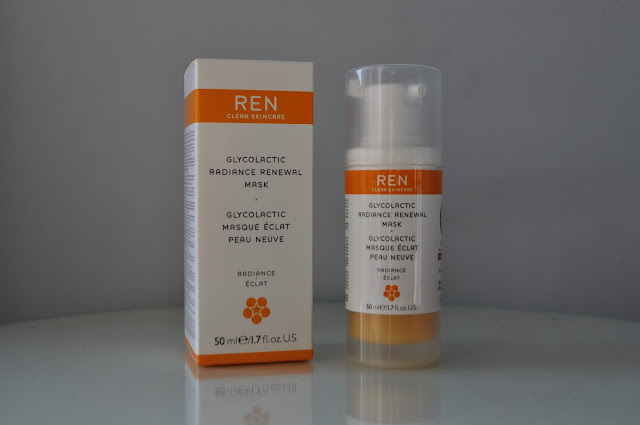 REN GLYCOLACTIC RADIANCE RENEWAL MASK. | Life Looks Perfect. FACE MASK REVIEW. 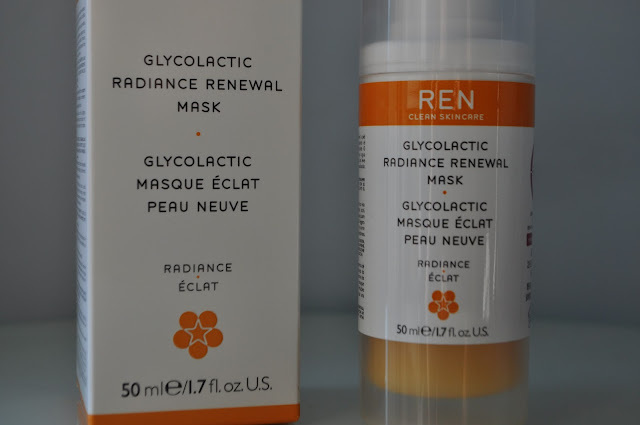 REN GLYCOLACTIC RADIANCE RENEWAL MASK. First of all we would like to thank Ren for sending us one of our most-wanted products this year! 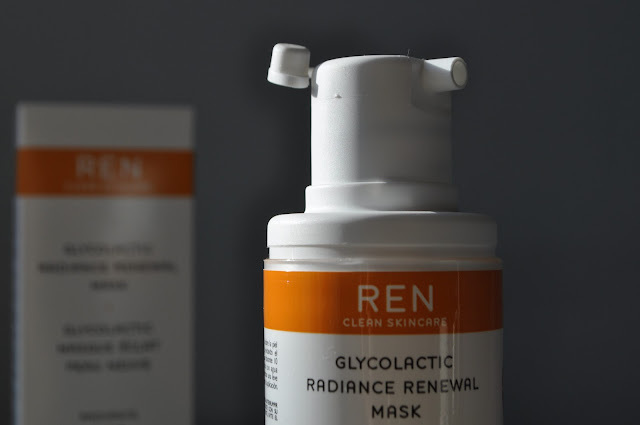 Ren's Glycolatic Radiance Renewal Mask c/o has been on our hit list for so long, with both of us umm'ing and ahhh'ing whether we should indulge! 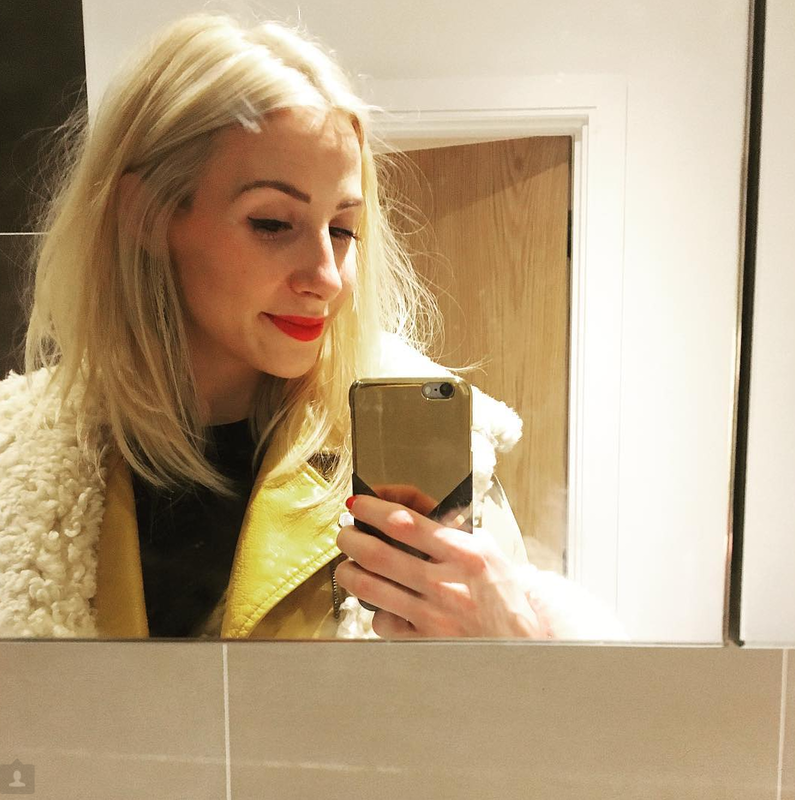 So when Ren very kindly offered us to try their active peel mask we were well, lets say ecstatic! I think before saying anything else about this product I have to start with the texture. Ahh it is so bizarre it's almost like spreading honey across your face, it is sticky, tacky and gooey but so much fun! On first appearances the product itself is almost clear but has a tinge of orange to it and have to admit it isn't the best thing I have ever smelt in the world BUT I know it is being washed off in 10 minutes so if it does the trick, a little smell doesn't hurt. I first applied a medium to thick layer of the product onto my face and then left for 10 minutes as instructed. It did tingle a little but I did read that this can happen sometimes and not to be alarmed. After 10 minutes were up, I just used a lukewarm flannel to gently wipe of the mask... and OMG!! My skin felt softer than a babies bottom! So first of all, this mask gave my face instant results! After just one use my skin was glowing. Jess couldn't describe it any better to be honest! Babies bottom and all that! I must say though (getting all negativity out the way first) that the scent is my worst nightmare, I really dislike orangey tropical scents! So a mask full of Lemon, Pineapple and Passion fruit extracts certainly contributed to its scent. But like Jess said, I can handle the scent if it makes my skin looks this blooming fantastic! I really love he ingredients in this mask. Ever since starting Life Looks Perfect, I have become obsessed with what I am actually putting onto my face! The active ingredients in this mask is incredible. It's bursting with fruit acids and vitamins that are important in keeping your skin healthy and prepped for the day ahead. Acid is used to help exfoliate the skin and prep it before adding your toner, serum and moisturiser. Citric, Lactic, Glycolic and Tartaric acid help do this perfectly, whilst also helping cell renewal. TAGS FACE MASK REVIEW., SKINCARE.